We present a chronological catalogue of chess-related cases which went to court. Information on other affairs will be much appreciated. The September 1890 International Chess Magazine, pages 273-274, had a letter from Gunsberg to Steinitz explaining the details of ‘the first chess libel suit on record’. The Vienna paper Volksblatt was found guilty and fined for publishing a ‘libelous paragraph’ about the abortive Chigorin-Gunsberg match. According to Gunsberg, Chigorin suppressed the correct facts of the match negotiations and a false insinuation was taken up by the Austrian journal. Source: BCM, March 1899, page 112. The French magazine’s report appeared on pages 20-21 of its 15 January 1899 issue. 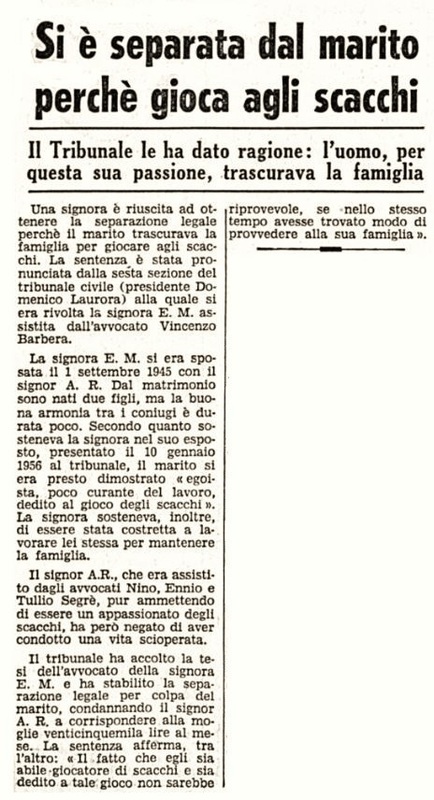 The magazine noted, however, that Cudmore subsequently (on 23 July 1906) signed a memorandum of apology and paid the plaintiff’s costs. 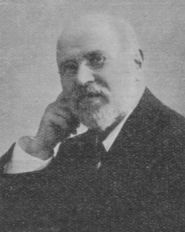 Lasker’s Chess Magazine also published the memorandum and expressed ‘our regret for the unjust charges brought against Mr Laws [the Problem Editor of the BCM]’. Sources: Lasker’s Chess Magazine: January 1906, pages 138-140 and 144 and June 1906, page 94. BCM: May 1906, pages 181-186, August 1906, pages 317-318, and October 1906, page 389. 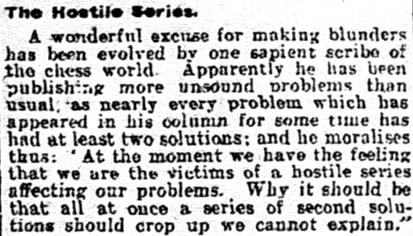 Source: American Chess Bulletin, November 1915, page 219. This account was based on what appeared on page 266 of Deutsches Wochenschach, 19 September 1915. On page 358 (19 December 1915 issue) the German magazine reported, ‘Das daraufhin eingeleitete Vorverfahren ist von der Staatsanwaltschaft jetzt eingestellt worden’, and we shall be grateful if a reader can clarify exactly how the case eventually ended. A detailed account of the case appeared on pages 124-125 of the May-June 1916 American Chess Bulletin. See too C.N. 3756. A child chess prodigy, William Winter, known afterwards to the police as “a Simple Simon among the Communists” appealed today against a six months’ sentence at Bristol for seditious speeches. He was described as an international chess player and a student of Cambridge University. Mr H.S. Diamond, on his behalf, said he could not really appeal against the conviction, as there was evidence that he uttered the speeches. During the war, he said, Winter was in the Honourable Artillery Company, being discharged with a good character. He seemed to have left his studies at Cambridge to air his extreme Socialistic views and join the Communist ranks. It was said that he was under the influence of a woman older than himself. While he did not suggest that chessplayers all become weak in the head, he submitted that in this case the man’s brain was weakened. A term of imprisonment might have a severe effect on him. Mr Justice Branson said no fault could be found with the trial. This young man left his studies and employment to stir up strife among those less fortunate than himself. ‘In reference to the Knightlights Club, vide the January BCM, Mr Herbert Jacobs quotes a most interesting letter from Mr Frank H. Taylor of Philadelphia, respecting a legacy of £100 left for the Franklin Chess Club of the Quaker City. It appears that under the laws of Pennsylvania the Court was about to make the bequest null and void because the gift did not contribute to the advance of literature. 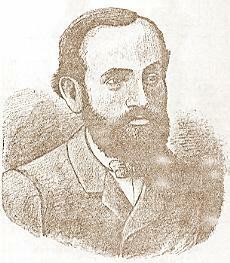 To rebut the arguments Mr Walter Penn Shipley, a noted lawyer of Philadelphia and of international chess reputation, took up the case. 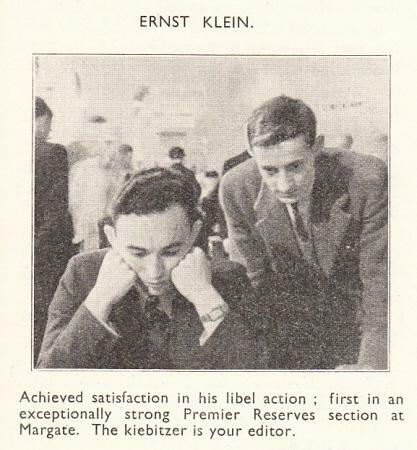 Source: American Chess Bulletin, November 1933, page 164. 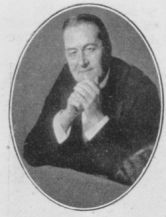 In 1939 B.H. 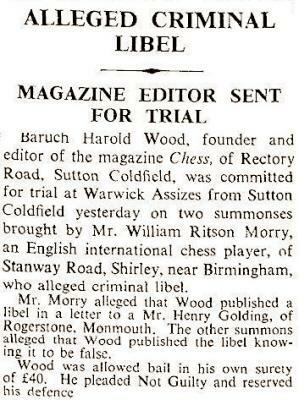 Wood found himself in the dock for having advertised for sale in CHESS in 1937 ‘genuine Staunton chessmen’ (see C.N. 3656). The plaintiffs were John Jaques & Son, Ltd., and Sir George Thomas, Max Euwe and Lodewijk Prins appeared as witnesses for the defence. The case is referred to by Fred Wren in his article ‘Tales of a Woodpusher: Woodpusher’s Woodpile’, which appeared in Chess Review, 1949 and was reprinted in Reinfeld’s The Treasury of Chess Lore (New York, 1951). The issues of CHESS of the time also contained a huge amount of material on the case. The decision was that ‘Staunton’ alone was a permissible description, but that the phrase ‘genuine Staunton’ implied a product made by Jaques & Son, Ltd., as opposed to any Staunton pattern. However, B.H.Wood appealed and, in 1940, won. 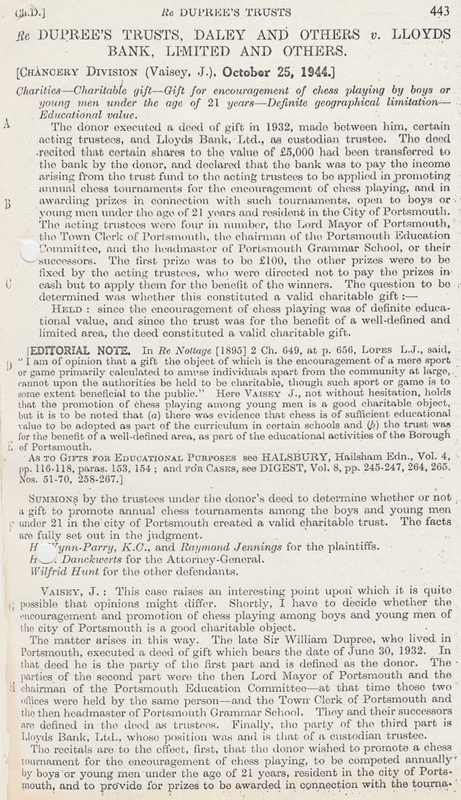 The question arising in this case was whether chess was of sufficient educational value for a gift to encourage chessplaying to qualify as a valid charitable gift. 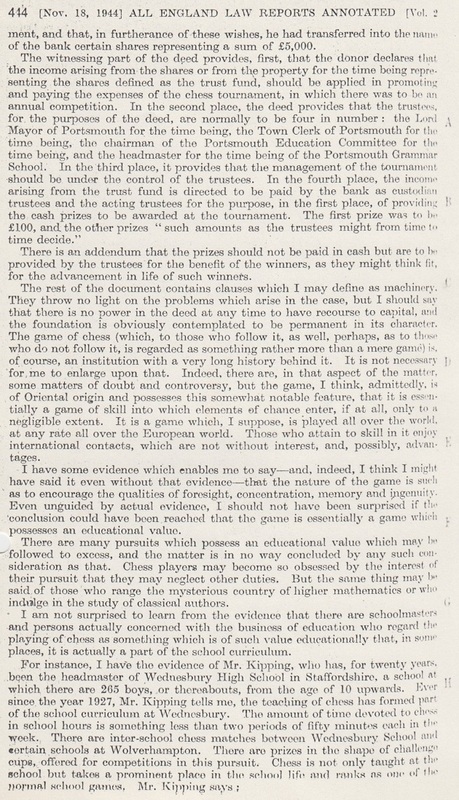 The verdict was yes, whilst acknowledging that the whole affair was rather a slippery slope: ‘If chess, why not draughts: if draughts, why not bezique, and so on, through to bridge, whist, and, by another route, stamp collecting and the acquisition of birds’ eggs?’, concluded J. Vaisey of the Chancery Division. This affair was brought to our attention by Paul Timson (Whalley, England), who provided a copy of the judgment. 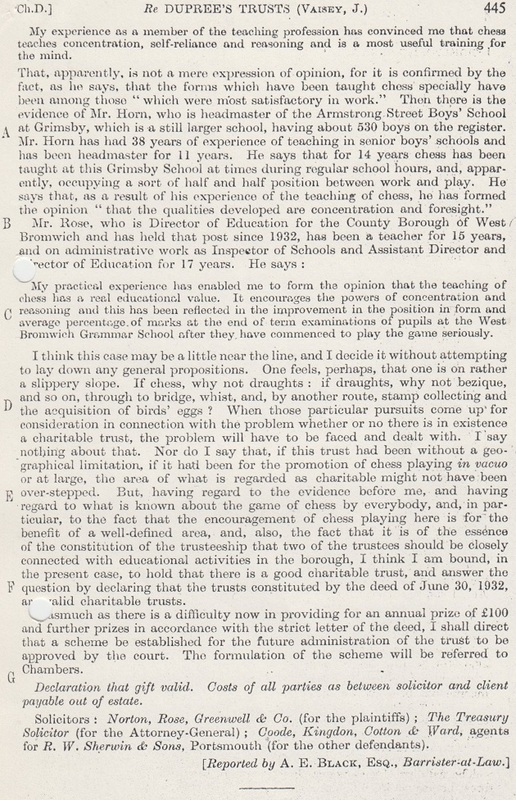 Below, from our correspondence file, is the full text forwarded by Mr Timson in 1983 (pages 443-445 of the All England Law Reports Annotated, volume 2, 18 November 1944). The text quoted, not quite accurately, by CHESS is on page 444. A.E. 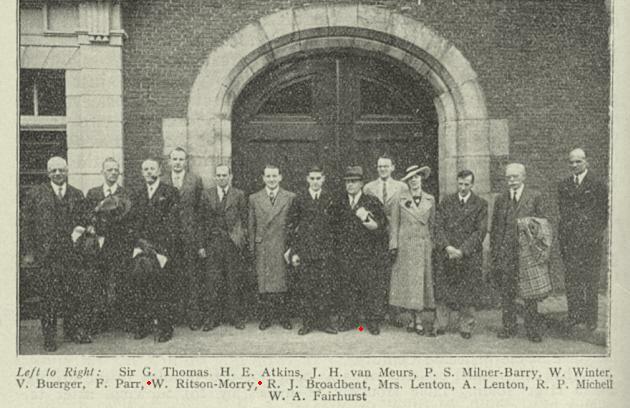 Nield claimed damages at Hastings County Court against officials of the Hastings & St Leonards Chess Club, from which he had been expelled. He asked for a declaration to clear his name. He had joined the club in 1951 as a country (as opposed to resident) member, but was informed on 28 March 1955 that because of his extensive use of club facilities he would have to pay the full membership fee, 30 shillings. Nield refused and was expelled. He won his case and was awarded £10 damages. 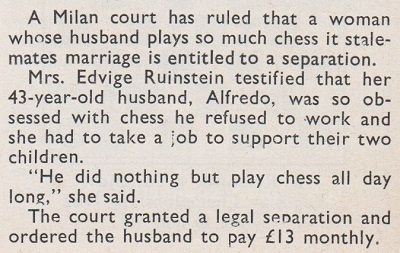 Full coverage of the case appeared in CHESS, 20 July 1957, page 246, and 20 August 1957, page 278. The two were playing chess on a lawn when tempers rose, and blows were exchanged (with the aid of, inter alia, a push chair). The magistrate dismissed both cases. Source: CHESS, 20 August 1957, page 278. A number of English-language webpages cover/repeat the story, but where are the accounts in Italian sources? C.N. 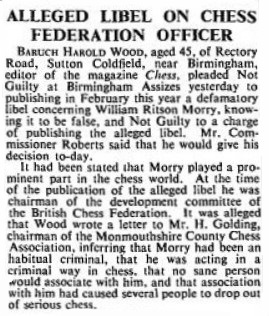 1713 reported that Donald Schultz of the United States Chess Federation had announced a lawsuit against Larry Evans for libel, slander and defamation. The final ruling (21 August 1989) dismissed the suit on jurisdictional points. Legal affairs involving Bobby Fischer having been widely reported, they have not been covered by us. See too the wide-ranging article ‘Chess Lawsuits’ on pages 264-266 of Chess World, December 1957. Concerning litigation arising from the 1961 Reshevsky v Fischer match, see C.N. 11169. Latest update: 9 January 2019.